The CM said despite being a small state, Himachal Pradesh has been adjudged the best state in education. 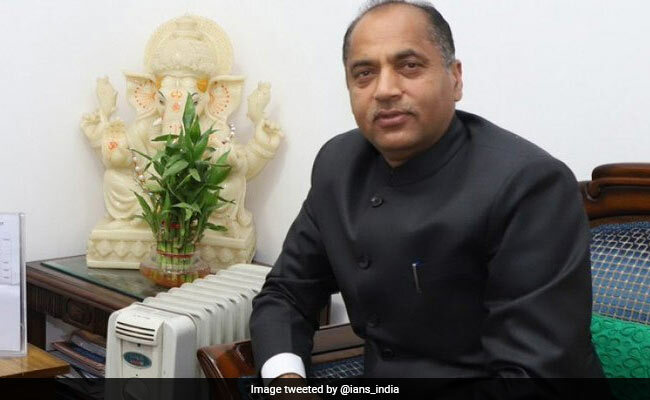 Chief Minister Jai Ram Thakur on Sunday announced steps to improve the functioning of schools that included the creation of the post of Vice Principal in all senior secondary schools in the state. He also announced that the nomenclature of post graduate teachers (PGT) posted in schools would be changed to lecturer and a notification in this regard would be issued soon. He made these announcements while addressing the 4th regional seminar of the Himachal Pradesh Teachers Union at Gondpur Banhera near here. While laying stress on value-added education, the Chief Minister said it is the duty of the teachers to inculcate high moral values among the students for a strong and vibrant society. The CM said despite being a small state, Himachal Pradesh has been adjudged the best state in education and the credit for which goes to the teachers of the state. He asked the teachers to come forward to check the increasing tendency of cheating during examinations and also take steps to counter the ever increasing menace of drug abuse.. He announced to open Atal Adarsh Awasiya Vidyalaya at Gehra Palata in Gagret area of Una district.